We are finalists in the Banksia Sustainability Awards! This is the 30th year of the Banksia Awards. The Atlas of Life, as part of the NatureMapr Network, has been named among the finalists! The Banksia Sustainability Awards have earned the reputation as the most prestigious sustainability awards in Australia and longest-running sustainability awards in the world! 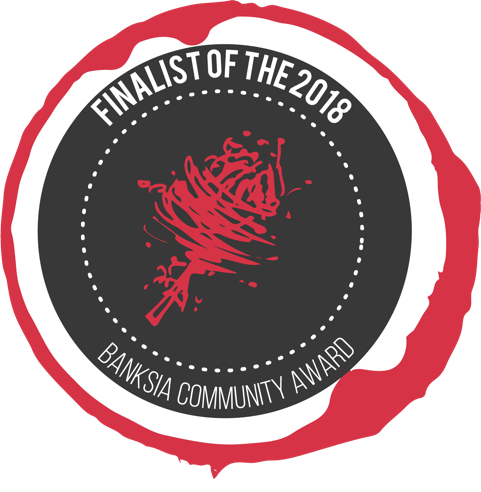 We will be well represented at the Banksia Awards presentation event in Melbourne on 29th November – a further opportunity to share and celebrate our growing network and collaboration. This is a biodiversity mapping network which involves the whole community, collects significant data which is valuable to our natural resource manager partners and through individual contributions and the numerous projects run using the platform, builds capacity and communities of interest contributing to the sustainable management of our regional environments. The Atlas of Life in the Coastal Wilderness was started in 2011, the Canberra Nature Map in 2015 and the Atlas of Life Budawang Coast in May 2018. Together, these three long term projects cover all of southeast NSW and ACT. Our project collaboration facilitates the sharing and nurturing of skills, ideas and support. Together, we are undertaking joint projects in partnership with OEH Save Our Species team, ACT Environment and local Councils. Once moderated, sightings are added to the Atlas of Living Australia, and then the Global Biodiversity Information Facility.